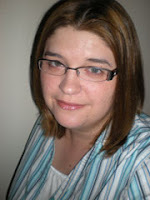 Marina Sabatini is one of the outstanding runner-ups in the 2010 Winter Flash Fiction Contest. If you haven't read Marina's story, "The Remedy," yet, check it out here. Marina has always been a writer, but her parents told her she needed a back-up plan while she pursued her dreams. As a result, she is an itinerant teacher for children with hearing loss in Houston, Texas. She earned her bachelor’s degree from the Robert E. Cook Honors College at Indiana University of Pennsylvania and went on to complete her master’s in multicultural urban special education at The University of St. Thomas in Houston, Texas. Currently, she is a student in the Rice Education Entrepreneurship Program at Rice University. When she’s not teaching, she can be found sitting at home on her computer, delving into her imagination, writing her fiction. WOW: Congratulations, Marina, on being a runner up in the flash fiction contest. Your story "The Remedy" is one that readers will remember long after they finish the last sentence. Where did you get the idea for a story? Marina: I honestly laugh out loud whenever someone asks me where I got the idea for the story. I enjoy watching Ghost Adventures on The Travel Channel, and one evening, I saw an episode involving the team's investigation of Poveglia Island. During the episode, locals refused to discuss the legend of the island with the host, Zac Baggins. It piqued my interest enough that I wanted to research the background of the island and write a story on it. WOW: That's a great story! Inspiration comes from all different sources. Was it difficult to write about such a heavy topic with a main character so full of emotion in so few words? Why or why not? Marina: Cramming so much emotion into 750 words was definitely a challenge! Two things, though, made it easier for me: having a backstory for my main character and doing research. By having some sort of backstory, I could just focus on the moment I was presenting in this woman's life. Through research, I was able to figure out what would be the most important elements to my story that would allow the reader to know the setting and become involved in the character's plight. WOW: We could apply those same ideas to writing longer fiction works, too--it would tighten our prose. So, what do you find easy about writing flash fiction? What do you find difficult? Marina: I did find it challenging because I tend to be very descriptive in my writing, but I enjoyed my first attempt at flash fiction because I learned a lot throughout the process. I used to think that having an emotional connection with a character automatically meant that you needed a lot of pages to develop that bond between the reader and the character. This contest taught me to ferociously edit my words and narrow my scope. I had to make every word count, so if something didn't contribute to the overall theme I was intending, it had to go--no matter how much I might have loved how it sounded. In the end, it became fun for me to think of creative ways to pack as much punch as possible into the lines. WOW: That's what we like to hear--having fun while writing! What do you think are the benefits of entering contests? Marina: This was the first contest I have ever entered. I thought of myself as a 'writer' because I wrote, but a vast majority of people do not consider you to be a 'writer' unless you have something published. For me, the benefit was simply the acknowledgment that I was good at my craft. Also, as a side benefit to having a confidence boost, it gave me leverage with my students that I do know what I am talking about when it comes to teaching them writing! So much for the saying, "Those who can, do. Those who can't, teach." WOW: Congratulations on so much success with your first contest! What fiction projects are you currently working on? Marina: I just finished a short story for submission to GlimmerTrain, involving a strained friendship between two women, reflecting on the idea of denial and how powerful it is in influencing decisions. I also am toying around with the idea of creating a fable about what good teaching looks like, inspired by my reading of The Five Temptations of a CEO by Patrick Lencioni. WOW: Good luck with all your projects! In your day job, you are a teacher for students with hearing loss. Do your teaching experiences ever work their way into your fiction? Marina: They don't necessarily enter into my fiction, but I have written about them in personal essays. I just finished an essay describing how I came to be a teacher for children with hearing loss for submission to Writer's Digest. I really would love to incorporate my teaching experiences into my fiction, but I struggle with the idea of it. For me, my fiction is an escape from the everyday world. I use it as a means to work out whatever it is I might be dealing with at the moment. I know many literary personas preach writing about what you know, but where's the fun in that? I personally find it more enjoyable to explore other topics instead for fiction. WOW: Marina, thanks for sharing an insight into your writing world with us. Best of luck to you with all your future endeavors. We're sure there's more great writing to come.